If you are a weekly follower of our Iceland Wedding Planner blog, you have probably wondered to yourself, “What do Ann & Chris pack for a trip to Iceland?” Well today is your lucky day because today’s blog post is going to answer just that question! People tend to think about Iceland in extreme contexts and well it’s correct to a certain extent. No matter the season you plan to visit Iceland, chances are it will be windy, temperatures will probably range somewhere between 30-55 degrees Fahrenheit; it may rain, snow, or could be blazing with sunshine. The Icelanders always tell us that embracing the unpredictability of the weather is a must if you plan on visiting. Storms while often fierce, blow through quickly and are often followed by sunshine. So! When we head to Iceland in any of their seasons, we typically pack many of the same items. And since I have begun packing up for my next trip, I thought it would be fun to give you a walk-through of what you’d find in my suitcase. • The first bag I pack is my waterproof Ape Case (roller bag/backpack) filled with my almost invincible Nikon professional photo gear that I’ll need for the time I am there photographing Iceland weddings or engagement sessions (Iceland pre-wedding sessions). o Google Maps printed directions to each day’s adventures (in case the GPS fails at some point). o Iceland adventure / activity vouchers. • My second bag is a super stylish Jo Totes bag filled with more photo goodies and some plane survival items like the following: The latest issue of The Knot, earplugs, Sour Patch Kids, eye mask, earphones, iPhone, charger, etc. o Personal toiletries I cannot live without (makeup, soaps, tweezers, hairbands, nail file, hair brush, hairspray, deodorant, etc). o An appetite for adventure! Phew, long list! But hopefully one that you have found helpful as you plan and pack for your fabulous Iceland adventure. Feel free to leave comments and ideas on any items I might have forgotten to add to this Iceland packing list! In the meantime folks… Hang tight! We’ll be back blogging regularly in about a month with incredible events to share. Be excited, lots of gorgeous things coming your way this summer! Feel free to follow some of my travel adventures on Instagram and Facebook ? 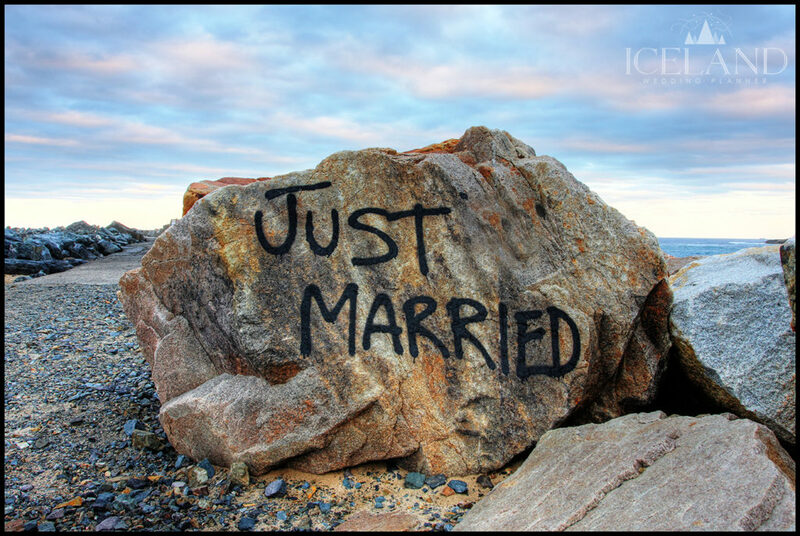 Special NOTE: The spray painted rock is NOT found in Iceland… It was a rock found in California done by someone else. We did not spray paint anything in the Icelandic nature. -Thanks!